Margaret Grace Hee is a theatre artist and teacher focused on developing new plays and devised work that influence tangible positive change in the world. Margaret received her BFA in Acting from the Santa Fe Institue of Art and Design and her MFA in Directing New School of Performing Arts School of Drama. 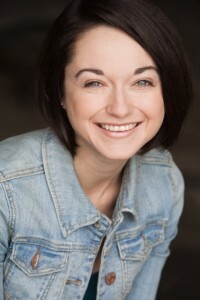 She is the founding Artistic Director of Baby Crow Productions for which she played the role of Austin in True West and has directed Whore: a kids play (Edinburgh Fringe Festival ’17) , Sapien Sapien Sapien, Cowboy Mouth, Cowboys #2, Cast of Characters, “Live” from the Bullet Stopper, and Enter Your Sleep, among others. As a freelance director, Margaret has worked with Ugly Rhino, Wide Eyed Productions, Dream Theatre, The Midtown Int. Play Festival, Colorado Shakespeare Festival and Fringe NYC. Selected assistant directing credits include: Everything You Touch, dir. Jessica Kubzansky (Rattlestick Playwrights Theatre); Henry VI P.I , dir. Vanessa Morocco & The Tempest, dir. Geoffrey Kent (Colorado Shakespeare Festival); Seawife, dir. Liz Carlson (Cape Cod Theatre Project); The Boys Room, dir. Sandy Shinner (Victory Gardens); Naked Radio Live, dir. Laura Savia (Naked Angels); 24 Hour Musicals, dir. Kathy Najimy (24 Hour Plays). As an actress she and has worked with Victory Gardens, Eclipse Theater, Adventure Stage, Berkshire Theatre Festival, Soft Cage Films, The Agency, and New School for Drama.